As per the Government of India latest guidline every credit cards holders need to link their Aadhaar Card before 31st March 2018. 1. Visit SBI cards website. 2. Login through your SBI card login credentials. If you have not created login credentials for SBI cards yet, Please follow this steps for creating your login credentials. 3. 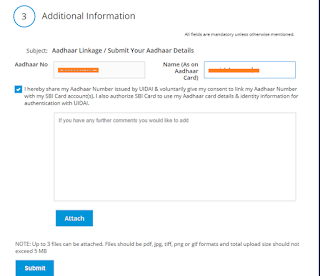 Visit section "Link SBI Card to Aadhaar" availale at bottom left corner. Click on "Link Now" button. 4. 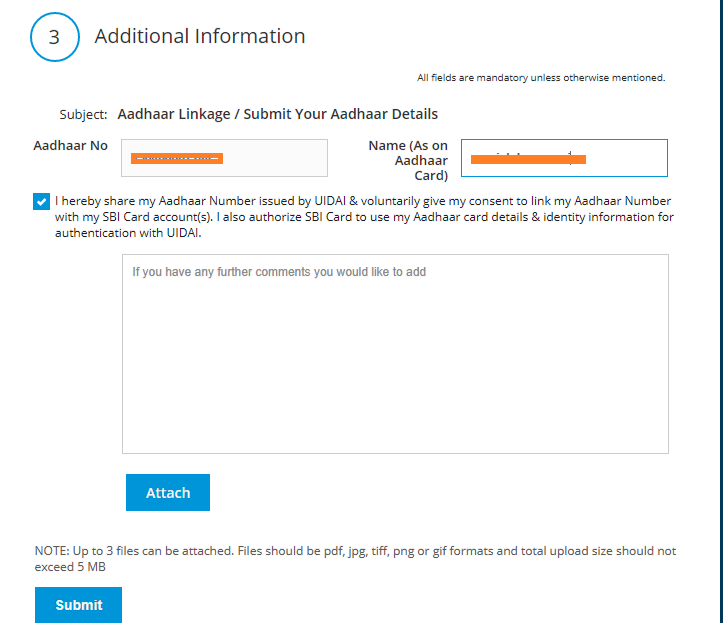 Enter your Aadhaar number and name on your Aadhaar and click on "Submit" button. Now, they will show the confirmation message for linking Aadhaar with SBI card.